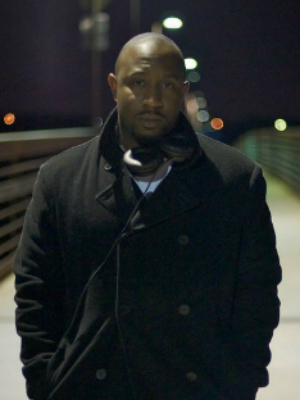 DJ Freeze’s unique style of mixing diverse genres of music has prompted him regional acclaim and guest appearances at some of the hottest venues across the U.S. His hard work is paying off for him since starting in the industry as a sophomore at Jackson State University in 1999. In over a decade of hard work, he has owned a few accomplishments namely being awarded the First Ever Jack Daniel’s and Crown Royal DJ for the State of Mississippi. These titles earned him opportunities to spin at major events throughout the south. Freeze has performed among a wide array of audiences as a special guest DJ which shows at concert and parties he rocks for a wide range of celebrities including UGK, 8-Ball and MJG, Fantasia, Robin Thicke, Monica, Musiq Soulchild, Jahiem, Too Short, and Scarface to name a few. A Jackson, Mississippi native he resides in Dallas, Texas and is quickly becoming a local favorite among a Who’s Who List of club promoters, club owners, radio personalities, and others in North Texas. He performs weekly at the hottest venues and has been a featured DJ at NBA All Star Weekend 2012 (Dallas), NFL Super Bowl XLV Weekend (Dallas) , and the Urban Oasis 2012 in Cabo San Lucas, Mexico. His company Freeze Entertainment Inc. is a new brand under R&R Entertainment Management that is thriving and continues to grow and will be a mainstay for years to come.